Convoso has a really cool workflow automation that has elevated my productivity quite a bit and I’m definitely profitable. What I like about this software most is the list life. My call lists lasts a lot longer with Convoso. Also, the dial threshold’s. That really helps control your data. Reporting is amazing and the customize able dash board is awesome as well! I love how flexible the system is and that a lot of changes don’t require an engineering background to apply. Their team walked us through the custom features and reports we needed and made themselves available the days we launched in order to help troubleshoot. This team really goes above and beyond for customers needing custom fields. If the changes look like a good fit they instantly make them available to ALL current users as well!! We have EVERYTHING I believe! This system was built in such a way that you can add or remove features your team needs as it grows. I am really impressed with he fact that you all really listen to what the customer needs and make changes on a global level when you find a helpful fix for 1 client and make it available for all. 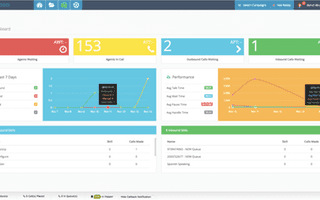 It has lead management, a fully integrated PBX, tons and tons of features that help optimize your operation and minimize the need for a admin to run it. it pretty much runs on auto pilot. The Reports are easy to use and provide any possible data you may need. I’ve used a couple dialers out there…. I’ve used a couple dialers out there. The appeal in Convoso is their ability to complete calls. Their administrative UI took some time to get used to. I think the layout could be made a bit more user-friendly. Founded in 2006, Convoso offers a complete hosted inbound and outbound call center solution designed to enable any business to revolutionize call center productivity. With a complete all-in-one marketing platform, Convoso makes it possible for your business to generate and convert more leads in less time. Whether your business is looking to improve agent productivity through gamification and an easy to use platform, or boost outbound campaign efforts to new levels, Convoso can customize a solution to fit your exact needs. Convoso claims that their platform can enhance telemarketing and telesales productivity by a massive 400%. While they might be a newer player in the space, Convoso manages to deliver a complete sales and marketing platform, built from the ground up to work flawlessly in the cloud. With a WebRTC based softphone, your business can shed the need for costly IP desk phones, and cut costs by switching to a cloud first provider. With an entire marketing and sales platform rolled into one, Convoso provides the necessary functionality to run either an outbound, inbound or even blended contact center, including omnichannel communications beyond just phone support. Convoso offers an integrated suite of solutions that enables your business to provide the best customer experience possible. 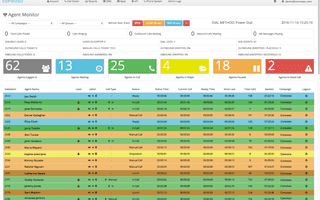 Agents gain intense control with advanced automations including workflows, call routing, call flows and even detailed reporting. Supervisors will enjoy the 100% web based platform, powerful monitoring and real time reporting, and rapid training and onboarding process. Convoso has also built their platform with gamification in mind, engaging agents to push harder to close even more sales and leads. For outbound call centers, Convoso includes a powerful auto dialer within its Outbound solution, enabling your business to completely transform marketing campaigns and efforts through preview dialing, progressive dialing, predictive dialing or power dialing. With predictive dialing specifically, your business can customize the number of simultaneous outbound calls placed in order to optimize agent efficiency to the max. 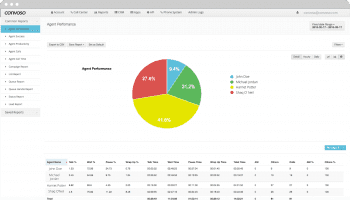 Another powerful tool, preview dialing, allows agents to see a customer record when a call is received. Convoso can also work with your existing PBX provider, or offer their own calling service built off of existing Tier 1 partners including Verizon, AT&T, Comcast and Century Link to offer a complete call center solution from just one provider. Since a CRM solution is also incredibly critical for call centers, Convoso not only integrates with existing CRM providers, but also offers its own lightweight CRM directly integrated into the platform. Overall, Convoso offers a complete platform for both inbound and outbound campaign efforts. What Do You Think of Convoso?